The Oklahoma School for the Deaf (OSD) in Sulphur provides residential, early intervention and outreach education services at no charge to students who are Deaf and hard of hearing. OSD also provides preschool programs for children who are Deaf at regional sites in Edmond and Chickasha. At the main campus in Sulphur, OSD offers educational, vocational and campus life programs for residential and day students from infancy to 12th grade. Educational programs and support services address students' intellectual, physical, social and emotional needs through curriculum, extracurricular activities, transition programs, counseling, physical therapy and health services. Secondary school students receive vocational and technical training and work experience through Occupational Training Opportunities for the Deaf and other vocational programs. Students are transported home by the school for weekends and holidays. The School for the Deaf also serves as a resource center for the needs of Oklahoma students who are Deaf but do not attend classes at OSD. Outreach staff administer speech and language, psycho-educational and audiological assessments to children across the state. Families of pre-school children who are Deaf receive early intervention assistance. OSD also provides on site consultation to public school districts, in-service training for teachers and special cultural, academic, and social programs, including those offered in the summer. A student must be deaf or hard of hearing. 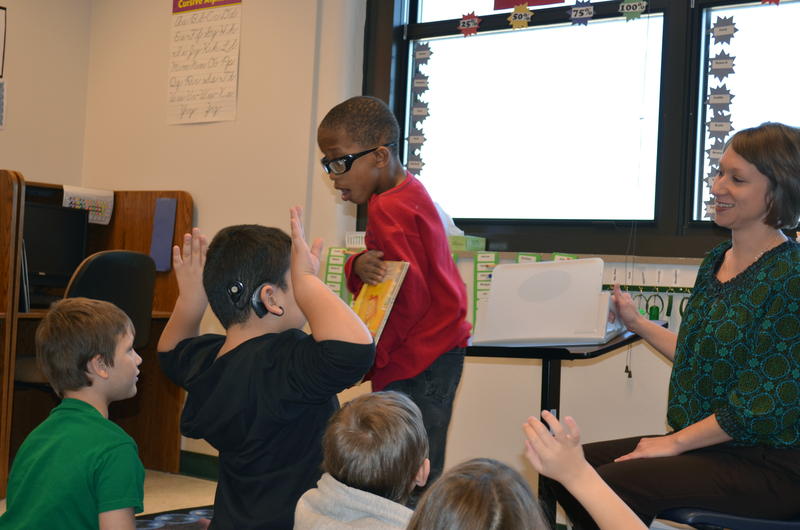 The student’s hearing disability must be the student’s primary disability. Admission to the school is accomplished through application directly from parents or guardians. The school accepts referrals from Local Education Agencies (LEAs), educational cooperatives, parents residing within the State of Oklahoma, and/or third party agencies or individuals. The OSD Admissions Committee reviews the application and all pertinent documentation and determines if OSD is an appropriate placement. For more information visit the Oklahoma School for the Deaf Web site. Medications: Does your child currently take medications? If so, are there any changes being made such as increasing, lowering dosage or taking your child off medications? Legal Documents: If parents are divorced or someone else has custody/guardianship of a child.